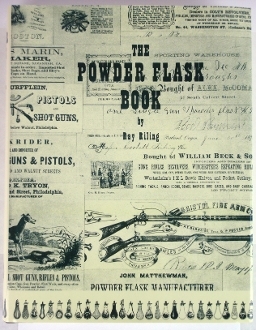 Book Details: This book serves as a historic reference and identification guide powder flask. The sleeve shows very little wear with some edge curling one very small tear at most a fraction of an inch. The book itself shows no wear. Extremely nice book & sleeve. Nice black & white illustrations. Measures 9” x 11 1/4”.